The best wood burning stove will make your home warm and entertain your guests. When the cold season is coming, there’s nothing more pleasant than enjoying the warmth of your home while watching the burning logs inside a stove. But did you know that modern wood stoves are eco-friendly? Unlike the models used decades ago, these units produce few emissions, and using them will lower your carbon footprint. 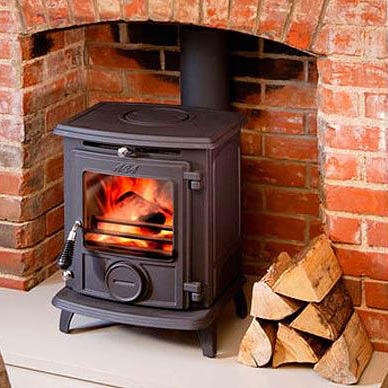 In the following article, we present the wood burning stove reviews of 2019. These models are not only efficient, but they look good as well. So, let’s take a look at the top wooden stoves available today. DIMENSIONS : 29.4 x 28.1 x 34.4"
DIMENSIONS : 28 25/64 x 23 3/10 x 20 41/64"
DIMENSIONS : 20 x 26.5 x 21.5"
HEATING CAPACITY : 1,800 sq. ft.
DIMENSIONS : 16.8 x 17.5 x 24"
HEATING CAPACITY : 800 sq. 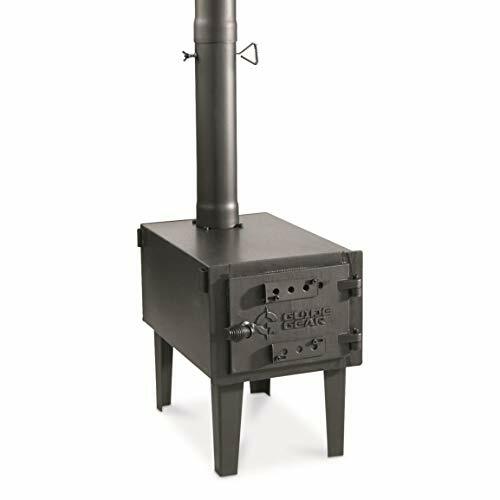 ft.
DIMENSIONS : 11.75 x 16.25 x 10.75"
DIMENSIONS : 5.3 x 3 x 5.3"
The Drolet high-efficiency wood stove is a great model for those who are looking for a model capable of warming up a large space. Placed in the right spot, this model can heat a surface of up to 2,400 sq. ft. without any problems. We were impressed by the stove’s efficiency. 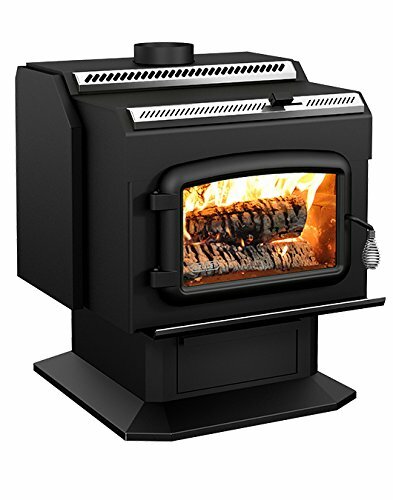 This model has an efficiency rating of 78%, so most of the heat it produces will be distributed inside your home and not lost, which is impressive for a wood stove. 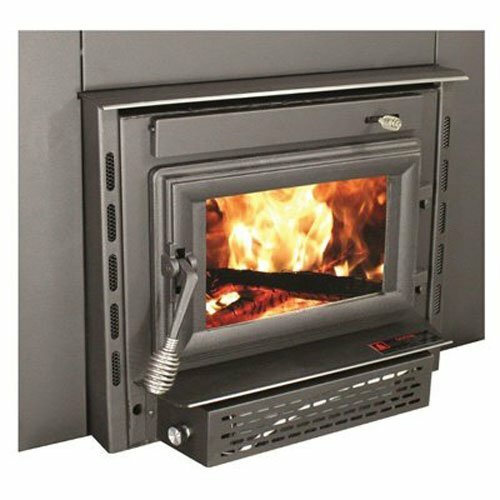 As far as the stove’s design is concerned, this model has a rugged construction and uses a spacious firebox that can accommodate logs of up to 22 in. in length. The stove’s door is made out of cast iron and it comes with an adjustable handle for easier use. Cost-Effective – Thanks to the stove’s efficiency, you will use less wood and kindling to heat up your home. The Drolet Escape fireplace insert is a good model for those who are looking to upgrade their old fireplaces. This model comes with a secondary combustion design that can increase its efficiency by up to 30% when you compare it to old units. One of the things we appreciated about this model is that it has a long run time. A single load of wood can last for up to eight hours, so you don’t have to wake up overnight to stroke the fire. Another good thing about this model is that it looks good. This fireplace insert will enhance the aspect of your living room, and it will also spread a lot of warmth throughout your home. 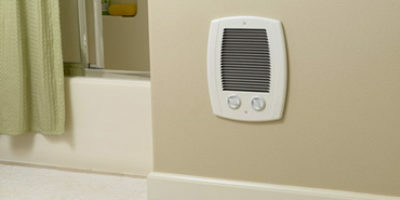 Blower Can Be Noisy – The stove’s blower can be noisy. If it is, bracing it might help. The Vogelzang TR004 fireplace insert is an efficient model that will make the most out of your wood reserve. With an efficiency rating of over 75%, this model has low heat losses, which means that it will burn less wood and heat a larger surface. One of the things we liked about this model is that it comes with a large air washed ceramic glass. The glass will provide a very good view of the fire, making your home warmer and more pleasant at the same time. The HiFlame Epa wood stove is a good self-standing model that doesn’t take up too much space. This stove might be small, but it has a smart design that will make sure that even the smallest wood you load in the firebox will burn completely. We were impressed by the stove’s heating output. Even though this is a small stove, it’s capable to warm up a considerably large space. 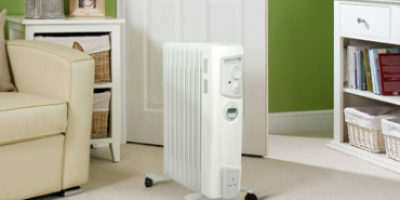 This little guy can warm up homes of up to 800 sq. ft. even if they’re placed in cold regions. The stove also has an impressive efficiency rating. If you use correctly aged wood, the stove can have an efficiency rating of up to 85%. 5-year Warranty – This model comes with a 5-year warranty. Quality Control Could Be Better – Even though this is a good stove, it could benefit from better quality control. The Guide Gear Outdoor wood stove is a small and resilient model that’s built to last. This model is made out of galvanized steel, and it comes with a hinged door that’s constructed out of cast iron. We were impressed with this model’s well-thought design. Portable stoves are usually flimsy things, but not this model. Thanks to its detachable legs and pipe nest, the stove won’t take up too much space. Moreover, the legs and the pipe nest fit inside the firebox, so you won’t have to carry them separately. However, the whole stove weighs 47 lbs, so it might be difficult to carry anything else besides it. We also liked that the stove’s top platform can be used to keep pots and pans hot. 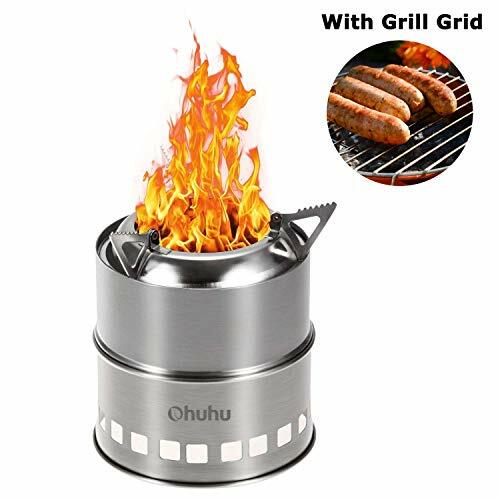 The Ohuhu camping stove is a small and reliable model that would make a great addition to every camper’s kit. Even though it has a small and compact design, this model is made out of high-quality stainless steel, so it’s very sturdy. One of the things we liked about this model is very stable. This model comes with a 3-arm base that will keep it level even when you use it on dirt or on grass. Moreover, the base will prevent the stove from topping off in windy conditions. Despite the fact that this is a sturdy model, it’s also lightweight. The stove comes with a mesh carry bag you can attach to your backpack, making it easy to carry around. Pot Stand Could Be Better – The camp stove’s pot stand is large and suitable for large pots. However, typical camp cups are small, so they won’t fit on the stand. Buying a wood stove is difficult because there are a lot of variables you have to take into account. The stove’s price, installation difficulty, efficiency, and maintenance are only a few of the variables you should think about when buying a stove because all of them will influence the way the stove works. This is why we decided to create this buying guide, and hopefully give you a clear idea on how to choose the best wood burning stove. Coverage – The first thing you should consider is how large a surface you want to heat using the wood stove. As you could see in our short wood stove reviews, every model can cover a certain surface, so you have to make sure the model you choose will suffice. Efficiency – Not all wood stoves burn wood in the same way. In fact, each of them burns the wood differently. We will talk at length about the different types of wood stoves below. Stoves that have a traditional design are usually self-standing. These models might have large or small fireboxes, but they don’t use blowers, so some of the heat they produce will ultimately be lost. The traditional wood stoves are safe to use, but they usually come with a small ceramic glass, so you won’t be able to see too much of the flames. These models might need top ventilation, but there are some models that can be installed using back ventilation. They are usually made out of sturdy materials such as cast iron or steel, so they can be very heavy. Stoves that have a modern design can either be self-standing or they can be inserts that will fit in nicely in your old fireplace. These models usually have large fireboxes, and they use blowers to increase heat output and burn more wood. Most models are suitable for both a top and a back ventilation installation, and they usually come with a large ceramic glass that will allow you to watch the fire from a distance. While these models are sturdy, they’re usually made out of lightweight materials, so they’re not as heavy as the traditional models. Portable stoves have simple yet efficient designs. These models are small and usually lightweight. Thanks to their designs, portable stoves are usually easy to assemble, and they’re also easy to break down into pieces. Most models come with special features that will allow you to transport them with ease. Some models rely on covers and bags to increase their portability, but some come with built-in handles. Even though they are efficient and produce a good amount of heat, these models should not be used indoors because they can release pollutants into the breathable air. You should always make sure you use these models in well-ventilated spaces. Nobody buys a wood stove just to look at it. The stove also has to have a good heating output. Each model can produce a maximum amount of heat, and you have to make sure that the heat it produces will be enough to warm up your home. Wood stoves are easy to use. You put fuel in the firebox, light it up, and it will produce heat. The process of making heat, however, is quite different for some stove models. There are two types of wood stoves – those that use catalytic combustion and those that don’t. Wood stoves that use catalytic combustion are usually more expensive, but they are also more efficient. These models have a more complicated design, but they offer a steadier heat output and they will also burn the wood for longer. The main problem of using this type of stoves is that you will have to replace the combustion element periodically, about once every two or three years. Wood stoves that do not use catalytic combustion are usually cheaper. These models are sometimes preferred by users because they tend to produce more powerful fires that are more pleasant to watch. The main downside of using such a model is that it will produce a good heat output, but not a steady one. The flames will peak for a time, but then the amount of heat produced will decline steadily. The size of the firebox is also an important thing you should think about. The larger the firebox, the larger its capacity, so it will hold more wood or fuel for the stove. The size of the firebox is also important because it will determine how long you can cut the wood that will fit into the stove. However, stove models that come with large fireboxes are usually more expensive than those that come with small ones. But the firebox is also important in determining the stove’s autonomy. If the stove you use has a large firebox, you will be able to load it up with a lot of wood, so you won’t have to reload it very frequently. These models are better suited when you want to heat large spaces. On the other hand, buying a stove with a large firebox for a small room might not be justified. Using a large firebox might overheat the room, making it uncomfortable. Using a wood burning stove that comes with a glass door is better than you would think. Sure, the glass door will offer you a good view of the flames, increasing the room’s ambiance. But the ceramic glass is also an amazing conductor. This means that a large glass door will not only make the stove look better, but it will also make it more efficient at warming up your home. You should make sure that the stove you’re buying comes with certification. There are a lot of counterfeit models on the market that are made out of cheap materials that will not withstand the rigors of a harsh winter or the demands of a powerful fire. These models might present problems as soon as the weather starts to worsen or as soon as you build a fire. Moreover, every stove has to have a certificate that states it’s safe to use because it doesn’t produce harmful emissions. Wood is a reliable fuel source because it’s cheap and renewable. Moreover, wood is easy to get a hold of. Even if you’re a city dweller, there are still a lot of sources you can try to find wood. Some stores, construction sites, and office buildings might be happy to get rid of their discarded scrap wood if you’re willing to ask. If you live in a rural area, wood is even easier to come by, and you don’t even need to cut trees to get it. You can simply collect the wood on the forest’s floor and let it dry before using it as fuel. And the good thing is, you can plant your own trees to make up for the wood you use as fuel. Wood stoves are reliable because you don’t need to be connected to the electricity or gas grid to use them. As long as you have wood and some kindle, you can heat up your space. This is great for those who enjoy spending their weekends in cabins placed in remote locations. Unlike the stoves our ancestors used to use, modern models are really efficient. These models have efficiency ratings of up to 80% or more, which is impressive by any standard. Thanks to their well-thought designs, wooden stoves produce a lot of heat and they’re capable of warming up large surfaces. You might think that burning wood is not eco-friendly, but it actually is. Wood is a renewable fuel source, and you can even plant some trees yourself to make sure the quantity of wood you use for heating will eventually be replenished. Wood burning is also considered “carbon neutral”, so you’re not actually increasing your carbon emissions when you’re burning it. Fallen trees are naturally decomposed in heat, water, and carbon dioxide. The wood you burn produces more heat, less water, but the same amount of carbon dioxide. Wood is a great fuel and burning it will cost less than burning gas or oil, and it’s even cheaper than using electricity as a heating fuel while producing the same amount of BTUs. In fact, people who cut and gather their own firewood can get it for free, so wood burning can be the cheapest method to heat your home. Wood stoves are safe to use. Even though they use a live flame to produce heat, these models come with heavy-duty doors that will securely keep the fire inside the firebox. Modern stoves have to pass several emission tests to be commercialized, so they won’t produce dangerous levels of pollutants. Wood stoves look great. One of the advantages of using wood stoves is that they make a great focal point in your home. You can place a stove strategically to emphasize one of your home’s features or design peculiarities if you want to. Modern wood stoves come in many shapes and sizes, so it’s easy to find a model that will blend in with your home’s décor. And watching the fire in the stove will not only impress your guests, but it will also make you feel cozy in the cold months. As a rule of thumb, modern wood stoves are far more energy efficient heaters than the models used decades ago. These models either use a catalytic converter or a baffle to increase their efficiency. Just like the catalytic converter, the baffle helps to produce more heat by using the gasses resulted from the wood burning. But unlike the converter, the baffle will push the gasses right over the fire as soon as they’re produced. Every wood stove has losses. This is unavoidable since the stoves require a connection to the exterior in order to work. However, modern models are very efficient, and most of them have efficiency ratings of more than 70%. Stoves use live flames as a heat source, so they represent a fire hazard. But thanks to their well-thought designs, modern stoves are very safe to use. However, a stove should be installed correctly in order to work as it should. If you don’t install the stove correctly, you risk to let the pollutants resulted after the wood burning accumulate in your home, or even worse, you risk spreading the fire. This is why it’s recommended to hire a licensed professional to install the stove for you. However, there are some tips that can be helpful when you’re considering buying a wood burning stove. Decide The Stove’s Location – Make sure you know exactly where to put the stove before the installation team arrives at your home. Select The Right Model – Small stoves are very good if you want to use it in a single room. If you want to use the stove for your entire home, choose a large model. Make Sure Your Chimney Is In Working Condition – If you’re planning to install the wood stove in your old fireplace’s spot, you should make sure the chimney is in working condition. The chimney should be straight and long to allow the exhaust to exit your home. The chimney should also be clean, so if you haven’t used it in a long time, you should make sure it’s cleaned before you start installing the new stove. Make Sure The Exhaust Is Placed In The Tallest Spot – The stove’s exhaust should be placed in the tallest part of your home. If you don’t do this, some parts of your home will be colder than others, and you also risk causing air pollution. Better Fireboxes – Modern stoves use fireboxes that are lined with ceramic tiles that will refract the heat even when the fire is out, increasing their efficiency. Eco-Friendly – Modern stoves recirculate the gasses produced by the wood burning, so they will have fewer emissions. The amount of emissions they produce is similar to the ones produced by a decomposing tree. 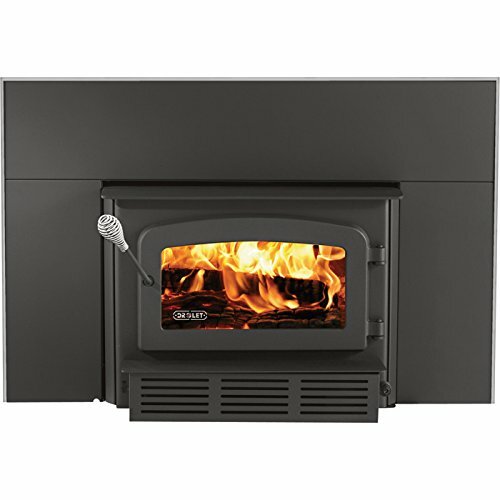 As you could see in our wood burning stove reviews, every model has its own pros and cons. That doesn’t mean that there’s no such thing as the best wood burning stove, but it means that every one of them might be the right one in different situations. The first thing you should do when looking for such a unit is to determine where you want to install it and how much heat you need it to produce. Once you have a realistic view of what you need, you can browse different models according to their size and heat output.